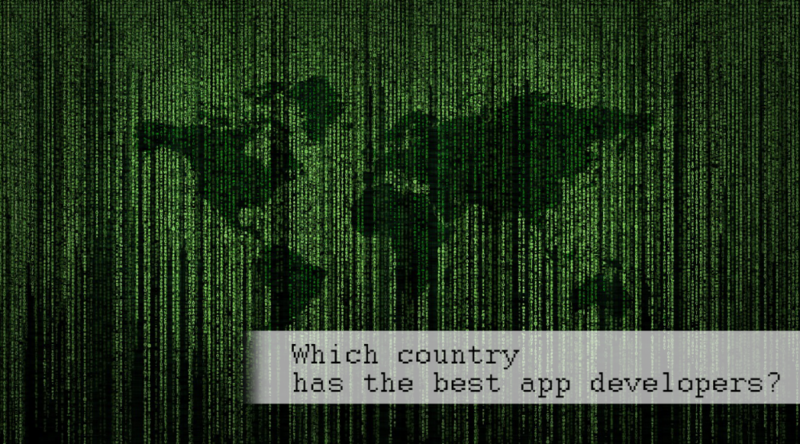 Which country has the best mobile app developers? When you are planning your first mobile app and looking for a good, experienced mobile app developer, chances are you are considering a cooperator from the other part of the world to outsource your project. But do you know where to look? Check which country has the best programmers in the world according to a worldwide research that mobile app development company Ready4S has analyzed. Although programming is not an Olympic domain, there are a lot of competitions for IT pros to test their skills and compete with other mobile app developers. One of them, HackerRank, assess programmers in 15 categories, from their mathematics and algorithms skills to popular languages, such as Java, Python or C++. Programmers from all over the world can take part in the assessment by solving chosen coding challenges prepared by HackerRank. They are ranked based on a combination of their accuracy and speed. The company gathers and analyzes the outcomes then and prepare a ranking of countries which representatives did the best in general. So which country wins the mobile app development competition? The overall score shows that the first three positions are taken by Chinese, Russian and Polish programmers and developers who all score very near to the maximum 100 points. These nations were followed by Swiss and Hungarian developers whom turn out to be very close to the podium. 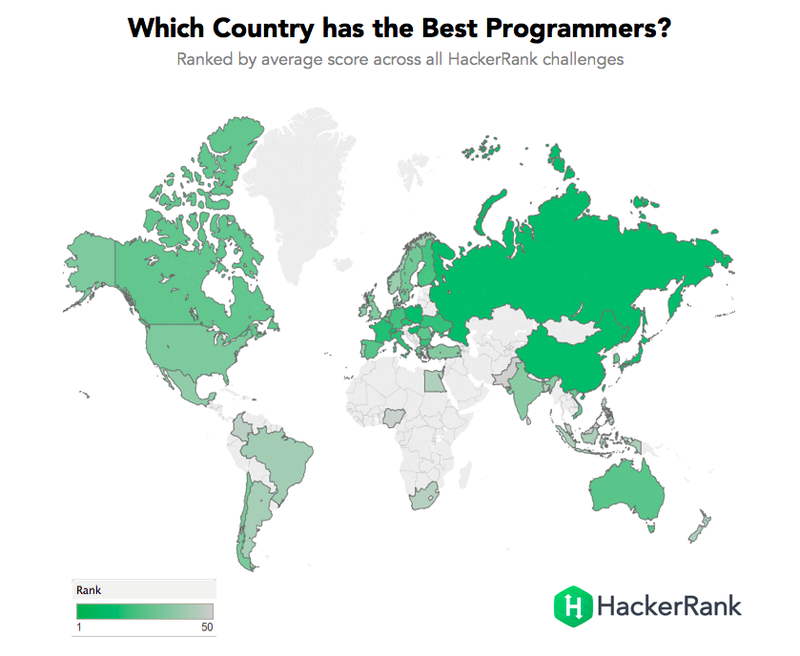 In general, programmers from three of the main parts of the world perform exceptionally well, including Central and Eastern Europe, the Far East and Western Europe. Especially, Central and Eastern European countries cope very well with the given tasks, as four out of ten best countries were from this part of the world and two of them get to the top three. The most important thing for those who look for a good mobile app developer or company is, of course, the expertise in mobile programming languages. The one included in the research was Java, the language used for developing Android applications. Other programming languages included in the research were C++ (with the golden medal for France), Python (in which Hong Kong developers win), SQL (won by Denmark) and Ruby (with Finland at the top). Apart from exceptional skills in the five programming languages mentioned above, HackerRank research also measured other categories necessary for the mobile app development including algorithms, security and Artificial Intelligence (AI). The best skills in algorithms are presented by Russian developers and programmers, followed closely by Polish and Chinese. The outcome in this area is very important as algorithms are one of the basic programming skills. Hence there is no wonder that this category is the most popular and competitive one. An important category when it comes to mobile app development is also security area. If you want the best security options, work with Ukrainian, Chinese or Swiss, the winners of the competition in this area. As the IT technologies evolves, there is no wonder that the competition between developers and programmers becomes very tough. Therefore, some nations develop mainly in specific areas of IT and become experts among the others. So rankings based on the competition between them can be an interesting starting point when you are looking for a mobile developer for your app. As it is also good to check the coworker before deciding on which mobile app development company to hire, you can check the expertise of Ready4S, contributor to the article here. Ready4S is a mobile app development company based in Poland. They have helped enterprise-level firms as a reliable business partner and successful startups, creating for them a market-ready product from an idea. The Ready4S team is used to take on projects that require advanced skills in several fields: IoT, beacons, Android, iOS, frontend or backend, among many others.